And we finally get to the moment that we referenced in this SN8X desktop wallpaper that Jessica made waaaaay back when we first launched this site in 2014. It’s a parody of a classic Nintendo Power Glove ad, but you can see that we hadn’t yet decided to have Eddie’s hair change once he enters his satan ninja form. That reminds of me something that happened when we were at that convention last month. A middle-aged lady walked past our table, glancing at our stuff as she did. 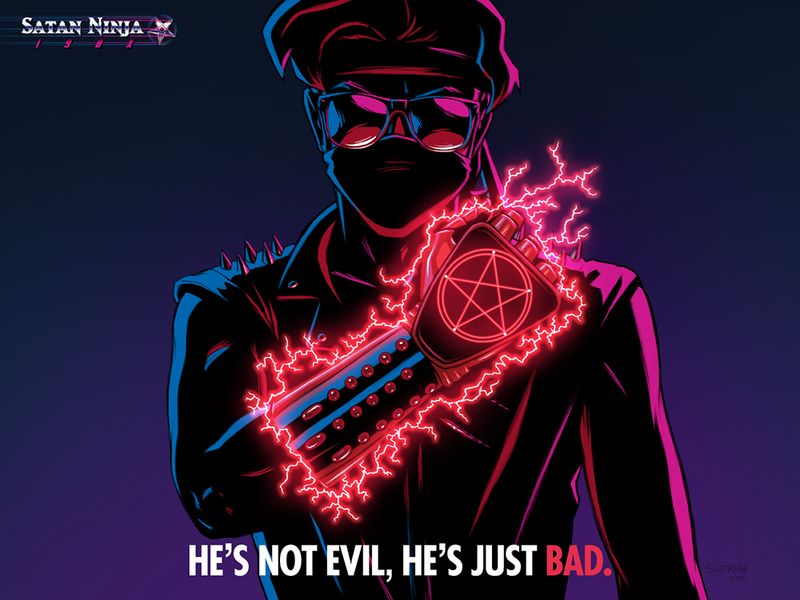 After she saw this Power Glove parody poster, I heard her mutter to her husband, “He is too evil.” Then they left, and I was totally amused. Okay, so I've been up all night, and I totally planned to go to sleep immediately after posting this page and sending out the notifications. But just as I was about to get into bed, I was struck with sudden inspiration and the title of one of Grandma McCarthy's favorite TV shows sprang to mind: Gilded Grannies. For a second,I thought Alex would cuss out Eddie for going along with Sam....! She does seem to be one of the few sensible characters, most of the time..